With so many games constantly being released, it’s hard for players to pick just one title and play it exclusively. And due to the nature of the typical MMORPG, the amount of time invested can range from a few hours a week to something more like a part time job. And that’s why it’s so important to pick a game worth that time. Because with the responsibilities of day to day life, folks don’t want to waste their precious time on a bad game. 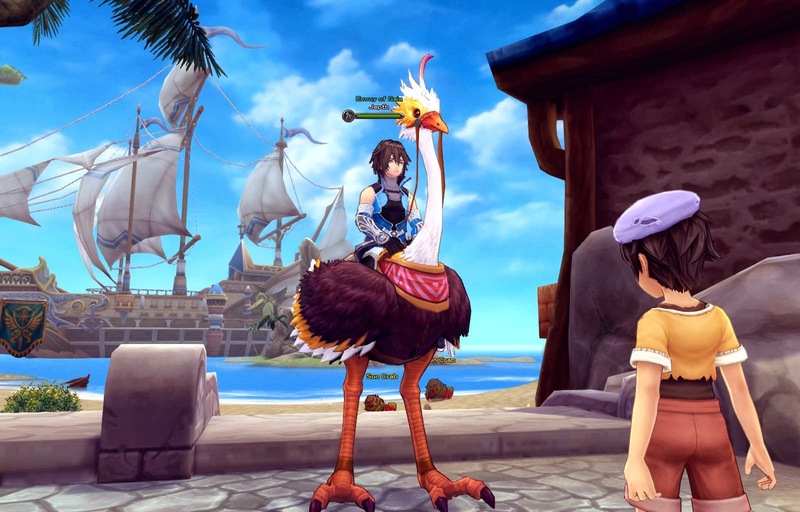 And it seems that publisher, Aeria Games, has designed their latest title, Aura Kingdom, with this in mind. There are certain key points that any enjoyable MMO has to hit on to make it just that, an enjoyable game. And as I spent time with the game in its pre-closed beta state, I found myself having a grand time. The polished writing of the quest dialogue, the pleasant and cheery visuals, the light-hearted music, and the engaging gameplay all culminated in quite the enjoyable experience. 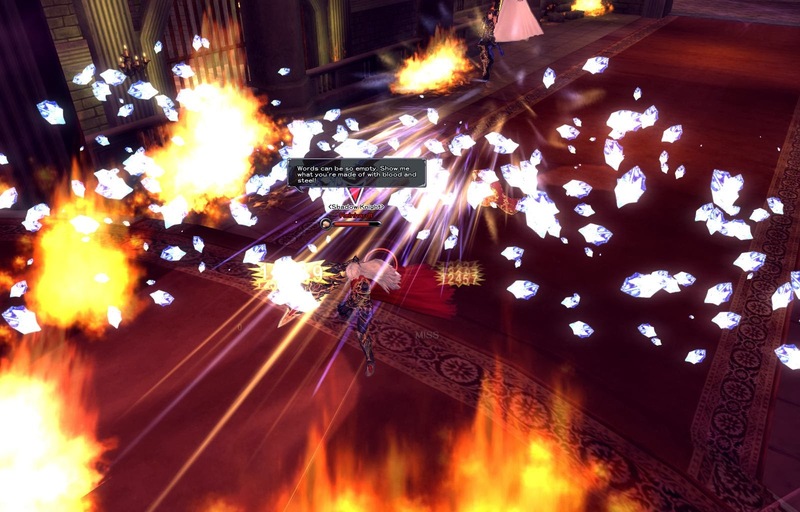 Taking Aura Kingdom at face value, it seems to follow the standard MMO formula. A fantasy setting with high adventure, fantastic action, and a heart-warming bond with an NPC. But that’s not to say that Aura Kingdom is an average game or plays by the rules too much. What it does, it does extremely well. The hours that I spent playing were simple, pure, and most importantly, fun. The story began as great stories often do, with a dream. It could be argued that this dream was more a vision of things to come. 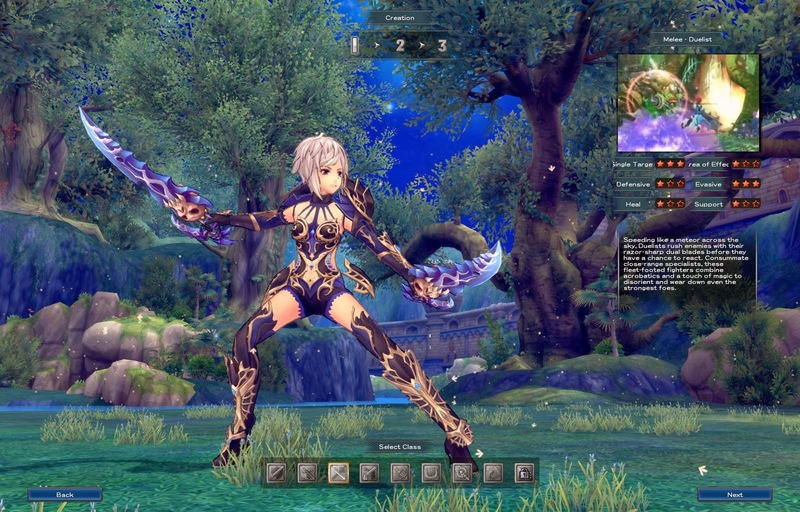 Players must select one of eight classes and a partner NPC, called an Eidolon. Guardians wield a sword and shield. Ravagers heft a great battle axe. Duelists are nimble assassins utilizing twin swords. The Gun Slinger is their ranged counterpart with twin pistols at the ready. The Grenadier brings even more firepower to the party with a massive launcher. A class not seen often enough in MMOs, the Bard uses their harp to great effect in support and healing roles. The Wizard uses their magic for more destructive purposes. Utilizing darker magical forces is the Sorcerer whom is effective at applying debuffs. Character creation offers enough options for players to make a character all their own. Throw in the ability to customize the colors of costume pieces and everyone wins. It’s not nearly as in depth as other games that have sliders for individual facial features, but it doesn't have to be with the anime style. There are four starting Eidolons to choose from. After completing part of the starting area, the first chosen Eidolon will join the player. Each has unique abilities and depending on the class/Eidolon combination, several powerful combinations can be utilized. For example, using a tank based class like the Guardian and pairing them with a support/healing Eidolon. Or pairing a melee combat specialist Eidolon with a ranged class. Additional Eidolons can be earned through completing special quests, raids, and guild events. Eidolons gain their own levels independent of the player and must be cared for. In return, they can communicate with the other plane to bring back special gifts for the player. Getting back to the story, it’s a light-hearted affair that unfolds at a natural pace. 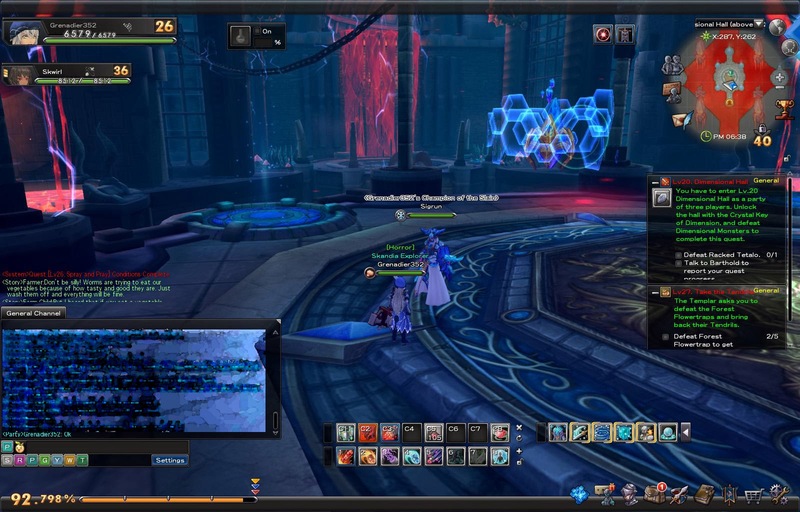 It’s stock MMO questing, but the gentle way in which it’s handled in addition to the personality each area and the NPCs exude make it memorable. It was humorous and endearing the way NPCs would dote on one another, striving to take care of their bustling community. And when it came time for the hero to leave their childhood home, it was a genuinely touching moment as everyone in the town gathered to say goodbye. Not many games go to such lengths to ensnare a player in the world, but Aura Kingdom won me because of it. Using the standard WASD and click-to-move control schemes, it’s very easy to pick up and play. There should be no learning curve or complaints about controls as anyone who has ever played a MMO should feel right at home. Tab targeting is also present, but again, this is a standard practice for nearly every MMORPG out there. Combat is flashy and intense, but a little on the easy side. After locking onto a target, it was only a matter of mashing away on the attack buttons to win. There’s little need to move in most encounters, so it tends to break down to standing still and trading blows. Some of the larger enemies and bosses will telegraph their attacks with a colored indicator on the ground where the attack will land. Because of this combat isn't as challenging as I would have liked. There wasn't a time where I felt that I was in danger of dying. Granted, I haven’t yet had the chance to go into a dungeon. So that may be a whole different matter entirely. The current level cap is set to 80, but there’s only enough content to progress players to level 60. Since the game is just now entering closed beta, there’s plenty of time to add the additional, necessary end-game content. But while players travel through the world, there’s plenty to do. Player guilds can be formed and leveled up by completing guild activities and playing normally. Guilds that reach level six can create their own guild hall with vendors and unique items. They can even spawn special Eidolons that can only be obtained by working as a team. PvP is present in the game with 5v5 matches and personal duels. I didn't have an opportunity to try any of the arena PvP, so we’ll have more on that in future coverage. Personal duels are a straight-forward affair. Nothing is off limits and things can get pretty hectic in a fight. Myself, I had a problem with angering the local mobs while rushing my opponent. In regards to leveling up, players will receive points that can be allocated in increasing damage, critical rate, speed, health, defense, and evasion. 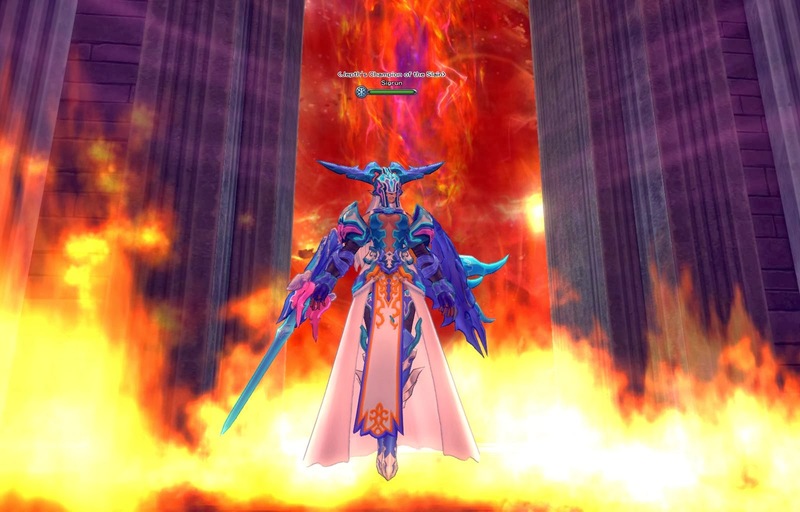 Players are also awarded points that can be put in their Envoy’s Path. This is a type of talent tree that unlocks more abilities as the player progresses. Most of them are passive abilities, but there are a few powerful skills that can be obtained here as well. The Envoy Points are arranged in a grid and more powerful abilities are unlocked in progression. As new abilities are unlocked, new, different abilities are available to branch off to. As I've said before, the visuals are light-hearted and quite appealing. Everything has a soft feel to it and the colors are rich and vibrant. The design is high fantasy with some modern and steampunk aesthetic. Overall, it’s a very good looking game and one I certainly didn't mind looking at for hours on end. There are a few clipping and collision issues. The most noticeable of which is the grass during character creation popping in and out. There were a few times I was able to fly through the wall of a building and got myself trapped until I found the wall I flew in through. The soundtrack matches the same quality and feel of the game with high-spirited tracks lending a sense of adventure to the entire affair. Aura Kingdom is currently in closed beta, with an open beta following that prior to final release. Character data will be wiped from closed beta to open beta, but characters should remain intact from open beta to final release. It is an absolutely enchanting title perfect for veteran gamers and novices alike. And because of the light-hearted story and visual designs, it’s perfect for kids to play too. So kudos to Aeria Games. It looks like they've done it again.